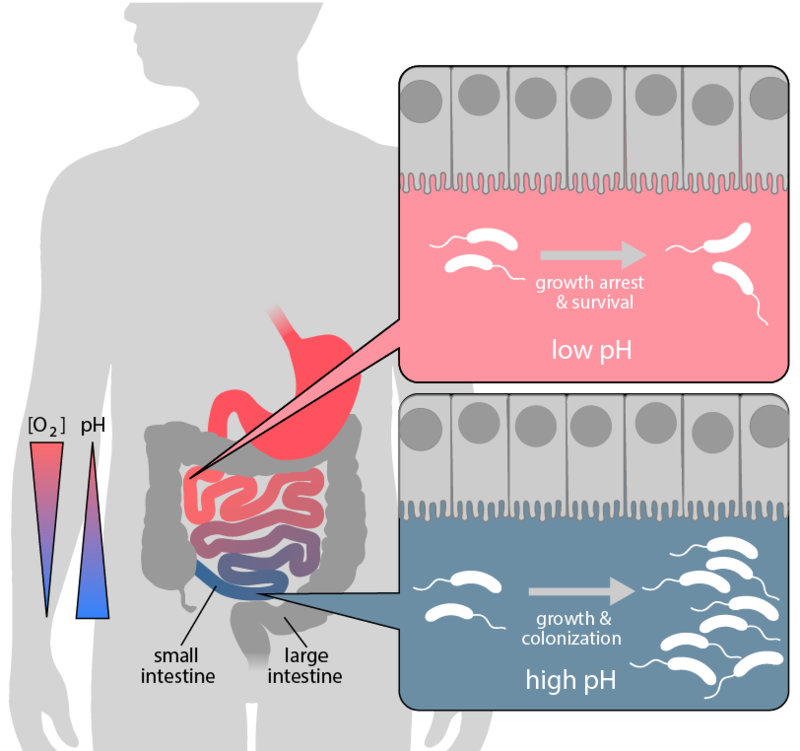 The Cholera pathogen uses a smart metabolic switch to control population expansion and survival for an optimal adaptation to the intestine’s low-oxygen environments. The human pathogen Vibrio cholerae has puzzled the scientists since its discovery 150 years ago. 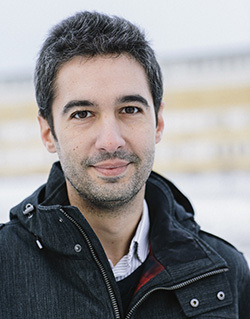 Experts who studied the bacterium couldn’t understand that the bacterium was not able to grow under anaerobic conditions despite it was equipped with an active metabolic machinery which should enable the organism to respire nitrate instead of oxygen, conditions that typically exist in the gastrointestinal tract. The common opinion was that the bacteria accumulates the intermediate product nitrite which inhibits further growth. The research group of Felipe Cava at The Laboratory for Molecular Infection Medicine Sweden studied this bacteria now under low-oxygen and different pH-conditions. Together with their colleagues in Boston, USA, the scientists at Umeå University discovered an elegant pH-dependent metabolic mechanism which permits the pathogen to switch to a resting mode with preserved viability. A smart strategy that provides competitive advantage against commensal bacteria to better colonize and infect the intestine. The group published the results now in the latest issue of Nature Microbiology 1 October 2018. 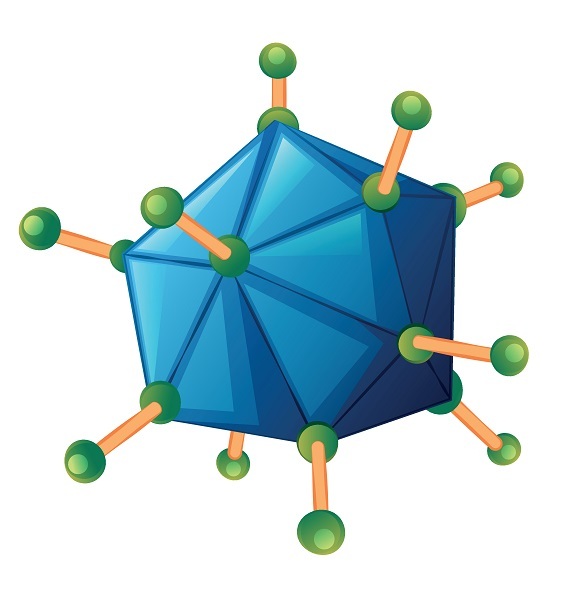 NCMM hosted the 9th annual Nordic EMBL Partnership Meeting in the hills above Oslo. The annual Partnership meetings offer researchers an opportunity to come together for a programme of scientific discussion and networking. 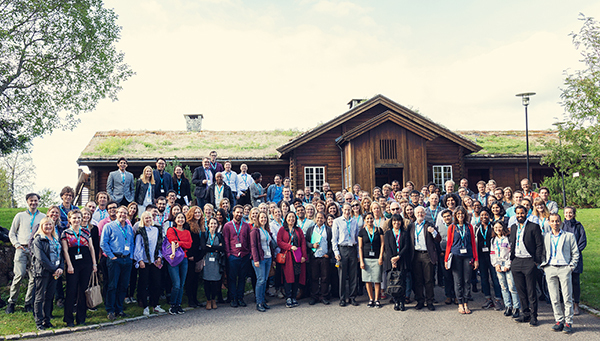 This year’s Nordic EMBL Partnership meeting, the 9th annual meeting in the Partnership’s history, saw over 150 participants gather in Oslo. Visitors from DANDRITE (Danish Institute for Translational Neuroscience), MIMS (Molecular Infection Medicine Sweden), FIMM (Institute for Molecular Medicine Finland) and the EMBL joined NCMM’s group leaders and researchers at the Soria Moria Hotel. The setting in the hills above Oslo offered participants some fantastic views of the city and the Oslofjord, making for a stimulating meeting location.